Oh you prefer filet mignon at a fancy restaurant? Too bad. Marry your white collar with your blue (mixed metaphor) and chop that beef so it’s ripe for the grilling. Cut the cheese into the steak as you finish– don’t just set it on top. Save that spot for the sauteed bell and pepperoncini peppers and caramelized onions. 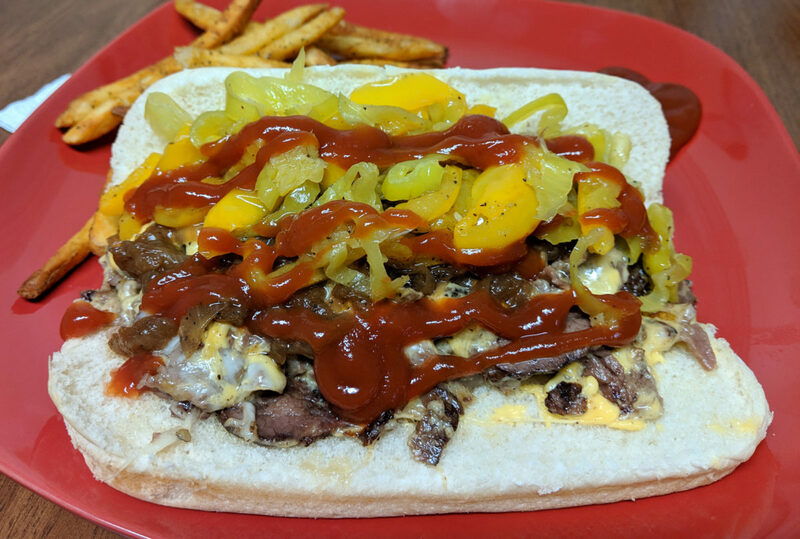 Slide it onto a steak roll to complete this masterful and flavorful piece of art. You’re straddling social statuses because you have depth.